Today we participated in the Jerome experience. 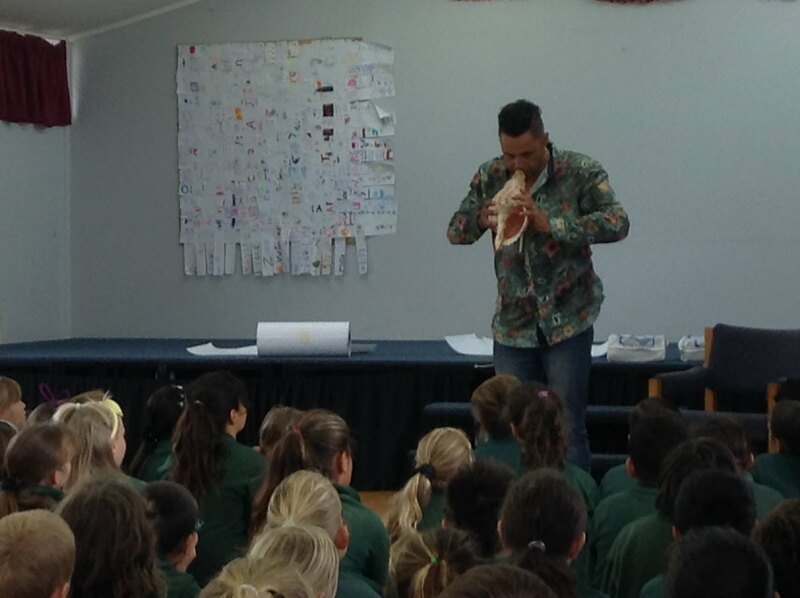 Jerome taught us about a variety of Pasifika musical instruments. 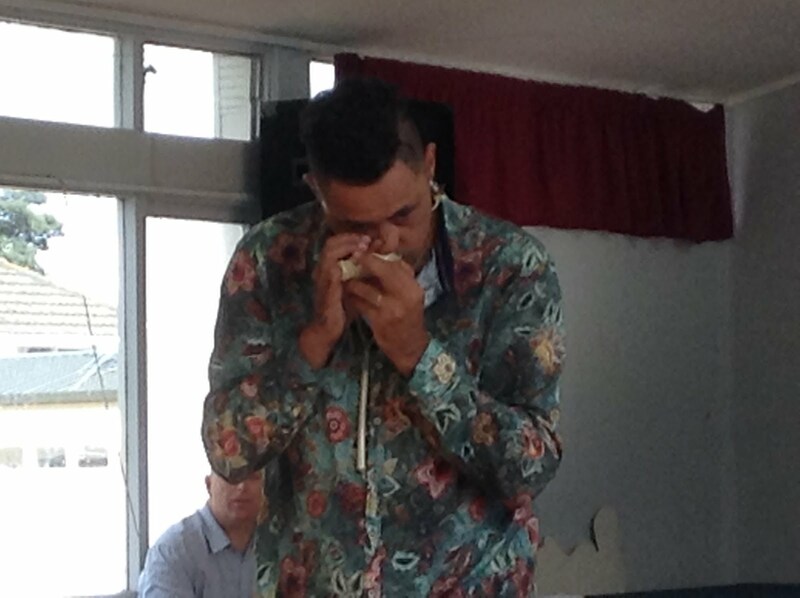 We were lucky to hear him play the beautiful melody of the Pūtātara (the sea shell horn) and the Nuguru (whale tooth nose flute). 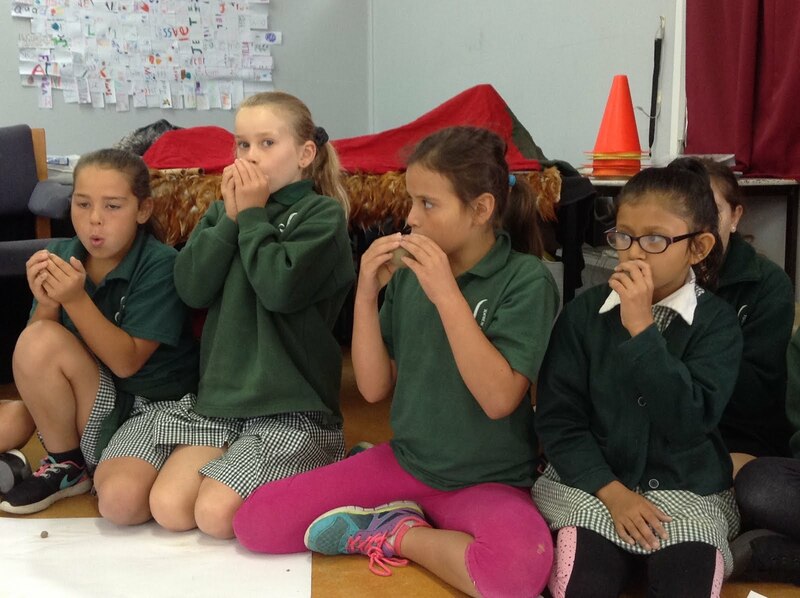 He told us stories about the Māori goddess of music, Raukatauri. 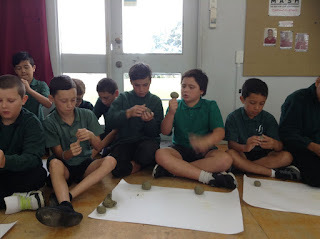 Then it was our turn to make our own musical instrument using clay. We listened carefully to Jerome's instructions and step by step we created our own Ukutangi; this instrument relates to the music of Papatūānuku, Earth Mother. Our next step is to keep practicing and hopefully one day we will be able to play the Ukutangi as well as Jerome. The Jerome experience was fun. I liked it because it was changeling and it was nice learning about all the instruments. Not to mention how fun it was to make the instruments! I'm glad that everyone got to participate in it. The Haka that he taught the Kapa Haka group was awesome. If I had the chance to do it again it would definitely be worth it! I think that the Jerome experience was a really cool activity and being able to whatch and learn ,how to play different Maori and Pacific instruments. 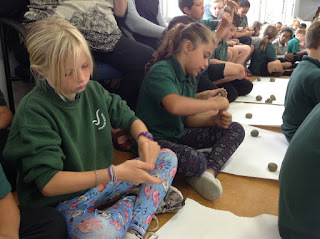 My favourite part about the Jerome experience although I couldn't get it to make a sound my favourite part had to be making the Maori instrument because it was a really challenging and fun time. This was an experience like no other.Jerome was a very nice guys and I would love to work with him again.I think it turned out great,not only making clay instruments but making a school kapa haka aswell.I can tell jerome loved working with bromley school. 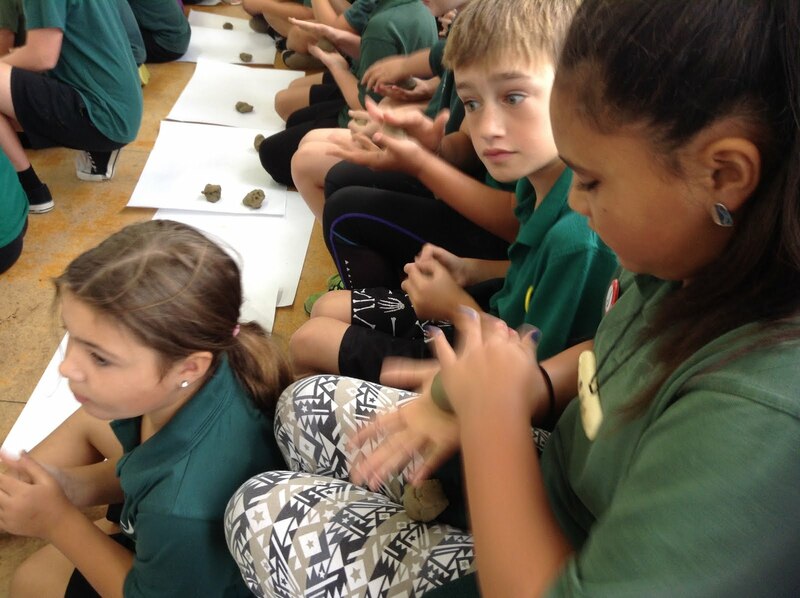 I think the experience was really great, it was really interesting learning about different Maori and Pasifika instruments. I loved seeing all the different instruments and listening to all the different sounds. But when we made our own one, it started off not looking so good but it ended out alright. I enjoyed the Jerome experience because It was exciting and I got to learn how to play allsorts of Moari and Pacifica instruments and I like how everyone participated in it. I really injoyed learning about maori and pasifike instrument. Bromley school was very lucky to have Jerome Kavana come to our school i also really injoyed making our own instrumentan every one participated in this special event thank you Jarome. It was a good experince and i also got to make my own insrument which was cool!!!! I really liked that. Hope everyone liked it as much as i did!😀 I liked all the maori insruments that that he played which i ❤️ed. The making of my insrument did not go so well but im still proud of it though. I thought it was really cool seeing Jerome Kavanagh at Bromley school. I thought it was interesting seeing all the cool things he can do with the instruments. it was really cool watching Jerome play all the cool instruments he bought on his journey.it was a Maori and pasifika workshop the whole koru team participated then we got to make our own instruments it was calleda ukutangi i wish Jerome can come back. Well the jerome expiereins was great and exciting we made a ukutuinge and it was fun too.